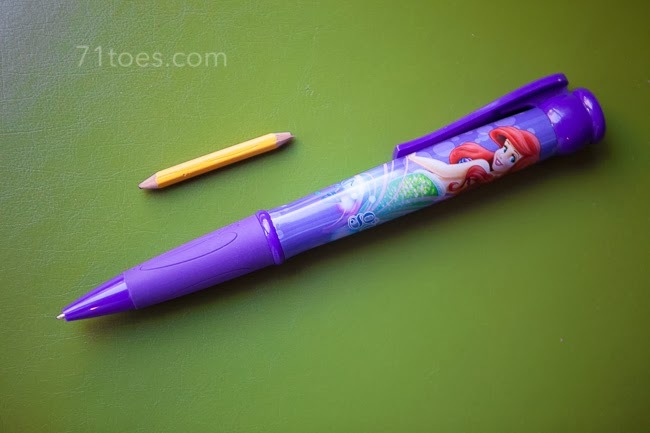 Lucy is delighted about the Ariel one, but it is huge and makes her writing all squiggly. But then again, I guess squiggly writing runs in the family :) (back HERE). First item on the agenda today: buy more pens. Surprise places I find pens and pencils: bottom of the backpack/binder/pencil box in the kid's school stuff. It always comes as a surprise to them. Good luck on your search! You will likely find dozens. And none that recognize any brand you ever bought. They are not like missing socks, those are never found. Hi! I read your post from your post a couple weeks ago about finding jeans for your teenagers. I'm a really tall 16 year old girl too and I buy my jeans from American eagle outfitters. They sell tall sizes in their store as well as extra long online only! Great quality jeans! Last for a really long time! We have far too many pens! It's quite ridiculous really!! We could definitely open a pen shop lol. Want some?